Playing host to some of the top Bali restaurants, Belmond Jimbaran Puri weaves together Indonesian and Western elements for a truly sumptuous dining experience. Take a seat beside a moonlit ocean as chefs cook fresh seafood in aromatic Asian herbs and spices. Magical dances and nightly music leave every sense heightened. Spread across fine white sands, Nelayan Restaurant teases the appetite with freshly caught fish and delicious Mediterranean-style cuisine. Piquant Indonesian spices are woven into dishes that use classic French techniques. Seasonal tropical ingredients––coconut, lobster, lemongrass––combine for a culinary immersion that celebrates the best of both worlds. Overlooking lush lily ponds and the sweeping shore, Tunjung Restaurant couldn’t have a more idyllic setting. Start your day with a colourful buffet of fresh exotic fruits, flaky pastries, tropical juices, global cheeses and cured meats. By night, this laidback cafe transforms into an intimate venue, filled with the aromas of classic Indonesian cooking. After a day of tropical adventure, find refreshment in our oriental-style Puri Bar. One of the most picturesque bars in Bali, there’s no finer place to toast the sunset. Be tempted by a delectable menu inspired by the light, clean flavours of Asian cooking. Hearty dishes, colourful salads and cool, zesty juices can be enjoyed poolside as you relax on our inviting day-beds. 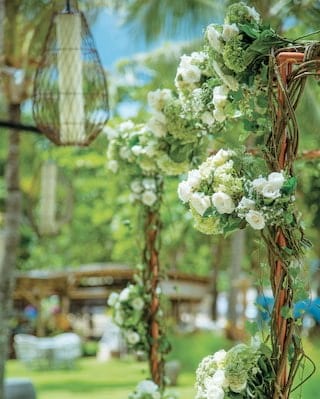 Whether a milestone birthday or a romantic surprise, head to Belmond Jimbaran Puri and make it an event to remember.